I have a house filled with gadgets and gizmos and when I need some help figuring out how to use them, I turn to Total Tech Support Service powered by Geek Squad available at Best Buy. I mean, it’s all about the latest smart technologies for ME, but sometimes these products need maintenance and service throughout the year and I’m not that girl. Hey, we all have our limitations, right!? You have to know where to go for help and the Best Buy Geek Squad… is it. How many electronics did you get during the holidays? If you are anything like my family, electronics pretty much made up the vast majority of your wish list. There are certain items we’ve received that we aren’t sure how to use??? And a quick Google search isn’t solving anything. If you are looking for some human interaction, the Best Buy Geek Squad has you covered. Best Buy’s Total Tech Support is a membership dedicated to supporting all the tech in your home – no matter where or when you bought it. Yes, you read that correctly. You didn’t have to purchase the item at Best Buy. The Best Buy Geek Squad will manage any product from any company. That’s not an issue. YAHOO! Unlimited tech support: Get help with all of your tech and appliances in store, over the phone, or 24/7 online. Get 20% off these repairs and services. 20% off Geek Squad Protection and AppleCare: Peace of mind at a lower price. 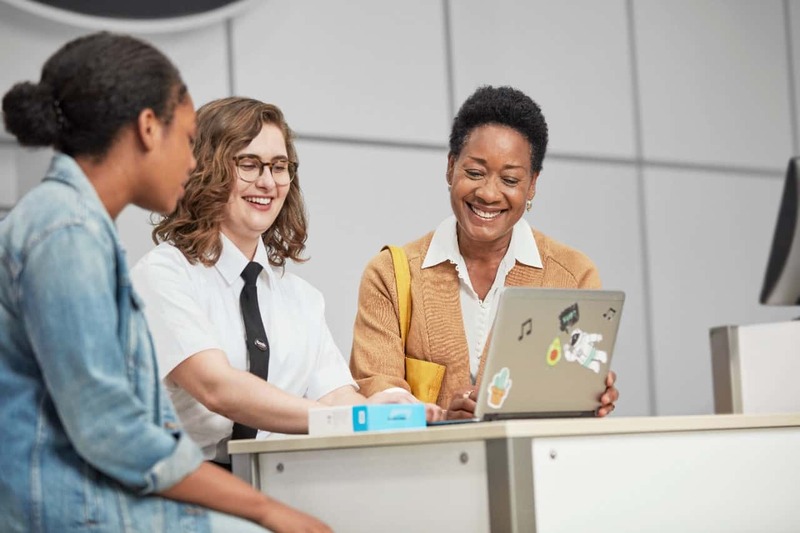 Save big on product protection plans with Geek Squad Protection and AppleCare.3 Internet security software is included: Help safeguard against viruses, spyware and ransomware. The software is good for up to three devices. Do you have a new appliance that needs to be installed? 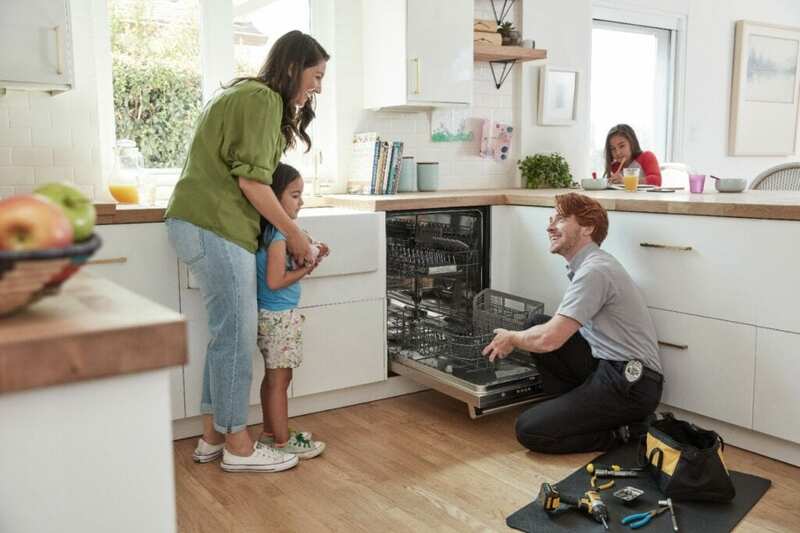 Whether it’s a dryer or a range, garbage disposal or a microwave, Total Tech Support Service Powered By Best Buy Geek Squad will take care of it with one At Home appointment for $49.99. So, if you are someone that plans on doing a lot of changes to your house this year, you should really think about this option. Are you redoing your living room entertainment system? Connect your TV, mount your TV, manage basic audio installations, harmony remote setups, and cord cuttings are all $49.99 each with Total Tech Support membership. How about a smart home concept? Do you have one? Want one? Don’t know where to start? Home Wi-Fi setup, voice assistant setup, Wi-Fi camera install, smart lighting setup and customization, smart doorbell install, and smart thermostat install are all $49.99 each with the Total Tech Support membership. Thank you Best Buy Geek Squad! So, like I said – if you are someone who received a Ring Doorbell for Christmas but literally don’t have a clue what to do with the thing, now you DO! Call the Total Tech Support Service Powered By Best Buy Geek Squad. 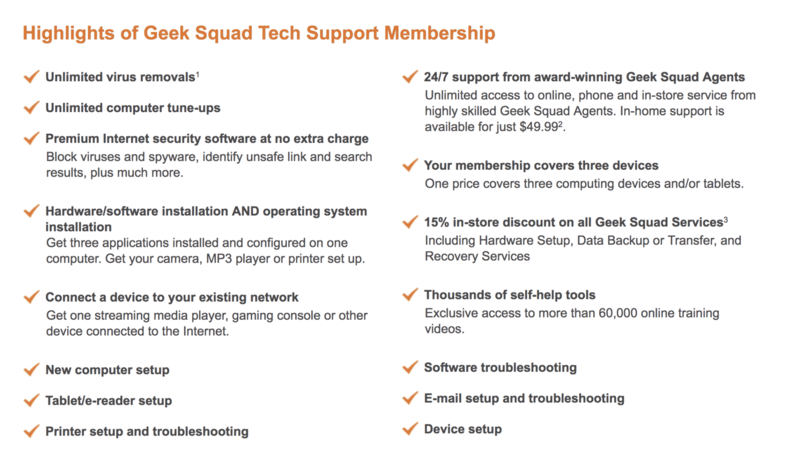 You can receive support by chatting with an Agent at www.geeksquad.com/support, by visiting your nearest Best Buy store, or by calling 1-800 GEEK SQUAD (1-800-433-5778). The Best Buy Geek Squad to the rescue!! How Often Can I Contact Geek Squad With Issues? As many times as you’d like during the length of your term. Don’t worry, they won’t be keeping track. They WANT YOU TO CALL. So, what are you waiting for? Maybe you should give yourself a gift this year – ease of mind!! I think Total Tech Support Service powered by Geek Squad available at Best Buy will be able to do just that.